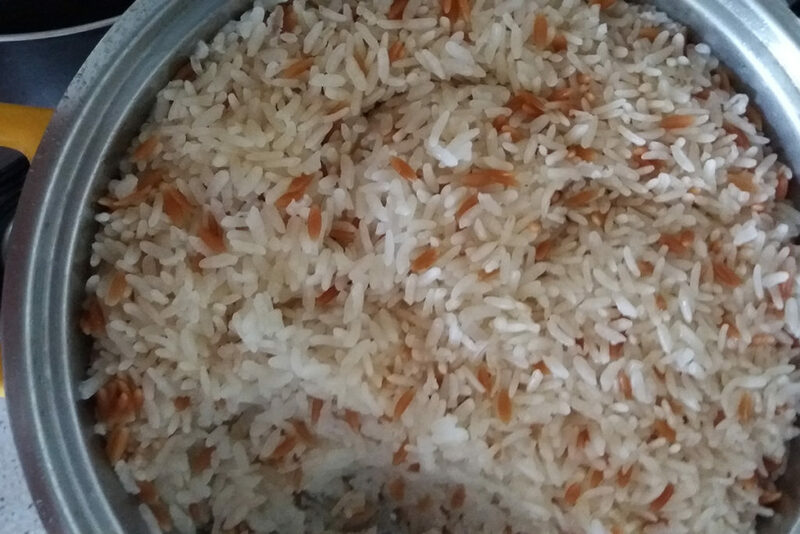 Pilaf is an important course of in any meal in Turkish cuisine too. Pilaf with orzo is one of the most cooked pilafs we prepare for our meals as a side dish fit for many dishes like meats etc. I hope you will like this easy pilaf recipe from our kitchen. Put in the pan a spoon of butter and a little olive oil. Put two hand of orzo and start to fry. Don’t leave the fireplace mix non stop and cook the orzo. When the color of orzo turn the bronze, caramel add the washed good quality 2 glass of rice. Add two glass of water, add a 2 tea spoon of salt, mix it and turn the heat slow. 15/20 minutes later your pilaf with orzo will be ready to serve.